Are you excited by the idea of buying your first home in Utah? Would you like a free gift of money to help you purchase that first home? Unfortunately, the state of Utah does not currently provide free grant money for its residents who are first time home buyers and need help with the down payment and closing costs as some other states do. However, there is still Federal Grant money available as well as grants from private foundations. This is free money that shouldn’t be passed up! The grant awards can be in the thousands of dollars. It will be well worth your time to educate yourself about the grant programs that are available to you. 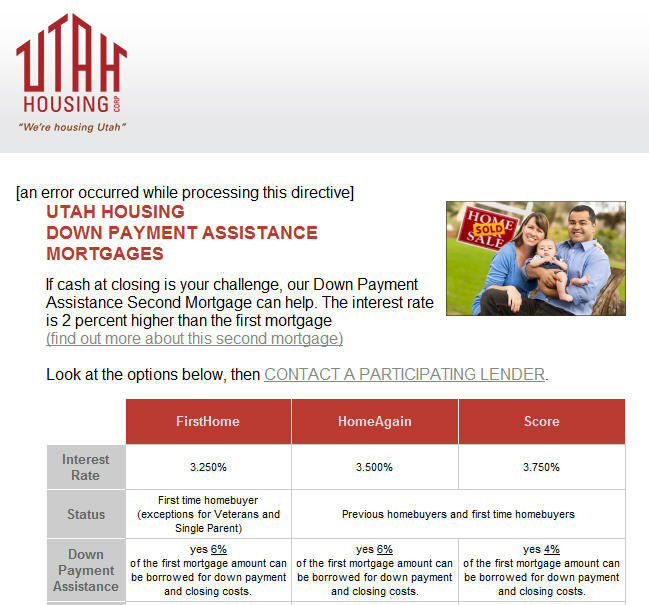 UTAH HOUSING doesn’t directly offer a cash grant for first time home buyers, but they do offer down payment assistance mortgages. 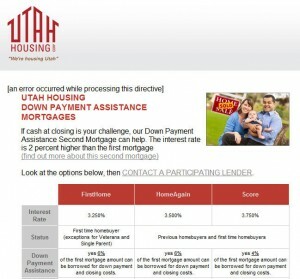 Utah Housing loans allow you to borrow all or a portion of your down payment and closing costs. You can purchase a home with FHA or VA financing with little or no cash investment through a Utah Housing Participating Lender. You can get the complete details of this program by visiting this resource. 2479 South Lake Park Blvd. Besides the state programs, there are federal funds and grants available in Utah through the Homes and Communities program of the United States Department of Housing and Urban Development. On their website you’ll find complete grant information, application forms, description of available funds, as well as many other helpful tools. Every potential buyer should investigate what they have to offer. You can visit the website by going here: US Dept. of Housing and Urban Development. Also, there is a website that has a complete list of all grant programs available through the United States Federal Government: Grants.gov. You should plan to spend the required time investigating to determine how many individual grants you may qualify for. You can visit the website by going to Grants.gov and search for additional information. In addition to the home buyer grant programs described above, the U.S. Department of Housing and Urban Development provides home buyer assistance and grants in every state. There are multiple grant programs designed specifically for people that meet certain requirements, such as grants for people with disabilities so they can continue to live independently at home. It is worth visiting HUD’s website to see what assistance is currently available. For your convenience, simply go to this website. This entry was posted in First Time Home Buyer Grants and tagged down payment assistance, HUD grants, Utah Housing Corporation. Bookmark the permalink.